It’s been a while…I’ve been so negligent. I came back here and it was still all decked out in fall foliage pictures. How embarrassing. Do you ever get it in your head that you shouldn’t dive into something until you have it all figured out and perfect? That’s how I’ve been feeling about blogging and instead of just posting content, I’ve been mapping out everything I could possibly write about and calendaring it and drafting it and yadda yadda yadda. Today, it hit me that if I keep doing that I’ll probably never post. And whatever I post will be 3 years old and not relevant at all. So I’m back! It’s going to be messy. And unorganized. And probably sporadic. But better to write crap than to write nothing right? I thought I’d get things started by sharing the things I’ve been doing instead of blogging. 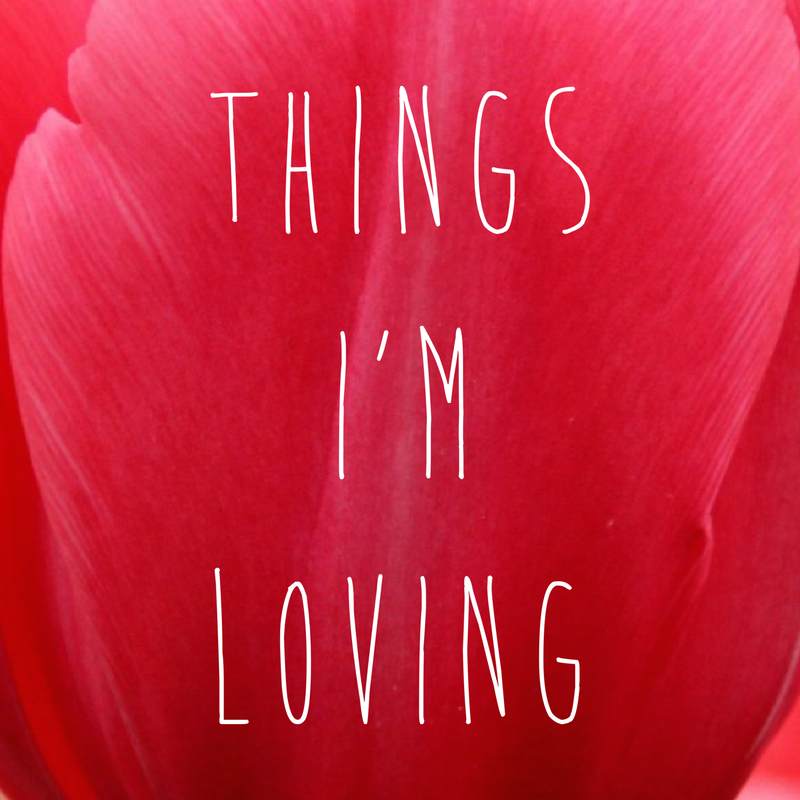 Things I’m currently loving, so to speak. Confession: I completely stole that. I just started listening to this new Podcast called The Happy Hour with Jamie Ivey and I’m loving it. She interviews people who are doing really awesome things about their lives and you just feel like your chatting with really fun people who are too cool to actually be chatting with in real life. At the end of each podcast, she asks her guest the things she’s loving. I love that. My books-to-read and email subscription lists are getting too long because of it, but what a fun idea! Jamie, you have a new fan who is slowly trudging through your archives because two a week isn’t enough for me. Anyways, this inspired me to generate my own list- here are the things I’m loving. The Happy Hour with Jamie Ivey. I’ve raved enough about this already. Fixer Upper. YOU GUYS. I love Chip and Joanna Gaines. I love their fun, witty banter. I love that they make beautiful homes out of junk. I love that they love what they do and love their kids. I also love that Season 2 is now on Netflix. Here’s her cute little website too. Aaron. It’s his birthday month! I’m so grateful for my new hubby and all the fun we have together. Marriage is really fun when you’re married to your best friend. Me Before You. I started a book club this winter with some of the most amazing ladies and they have great tastes in books. This month we’re reading Me Before You by Jojo Moyes. I’m about 100 pages into this book and worry that soon I won’t be able to put it down and will stay up all night reading it. And it’s going to be a movie! Our book club is going first thing once it’s out. Cam’s New Album. I love her whole album. If you buy it you can look at the album notes and under each song she shares a one line life lesson she learned from writing that song. Zillow. Since I’ve been watching Fixer Upper, it’s been making me want to buy a house. Well, that’s not true. It’s making me want to decorate a house. Zillow shows pictures of houses in your areas and the prices, so I can be realistic about what I’m looking for, but also dream about how I would make it look. Here’s one house I’m loving dreaming about.